Hold on to your pith helmets comrades, and be transported back to a period in history when the gin & tonic was invented, when explorers of new frontiers would face adventure with a sense of humour, where formality during the day gave way to carefree partying and socialising at night, and campaign tents and mess halls were the place to be. 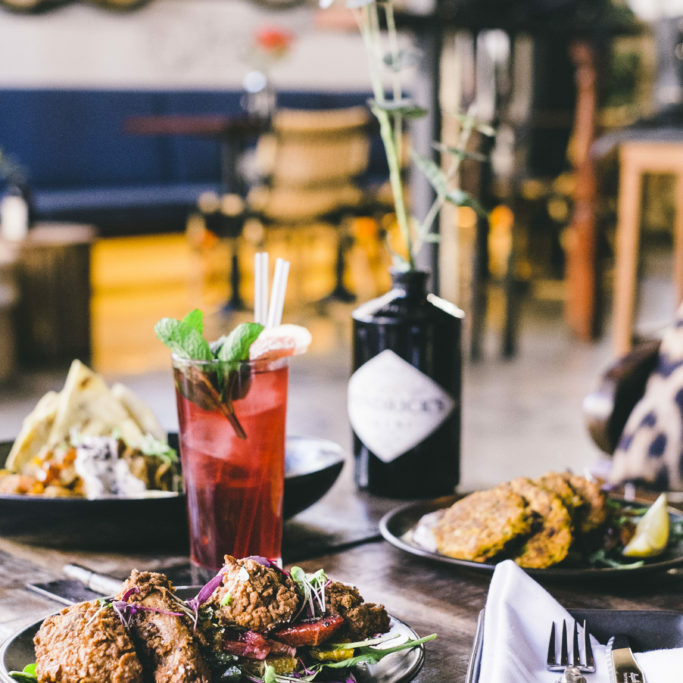 Welcome to Dutch Courage, a plantation-style gin bar, restaurant & function space where good food, good drinks and good times are celebrated. Set over two storeys, DC’s lower level is kitted out with vintage campaign furniture, hessian curtains and authentic safari touches. Here, the Main Bar offers an innovative cocktail menu and boasts an impressive 250+ strong spirit collection, including over 130 gins, craft beer on tap, wine & champagne. Upstairs is our mezzanine level, complete with its own dedicated bar and ideal for intimate dining or function bookings. On the plantation-inspired mezzanine is our Moroccan restaurant. Head Chef Lachlan Fanning has created a contemporary spice-forward menu using fresh local produce such as rump from Northern Rivers in NSW and beautiful Tasmanian salmon. All dishes are shareable, including our popular banquets, so we invite you to relax & enjoy the experience with your friends and family. Our experienced floor & bar staff are on hand if you need help selecting a dish or if you’d like to pair a gin, cocktail or glass of wine with your meal. When it comes to good drinks, we are all about adventure, exploration, experimentation and fun. And as Queensland’s first gin bar and twice nominated as Australian Gin Bar of the Year (2017, 2018), our staff also know their stuff. 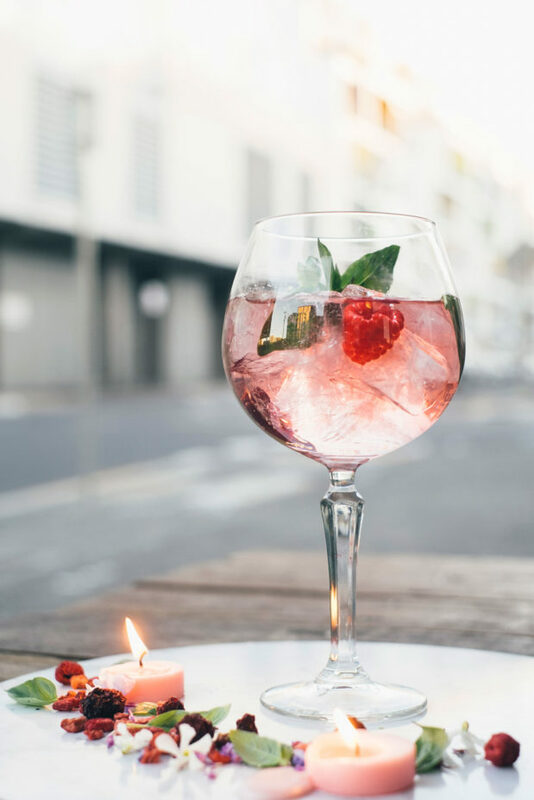 Our menu of over 130 gins is sure to turn heads and get tongues wagging. 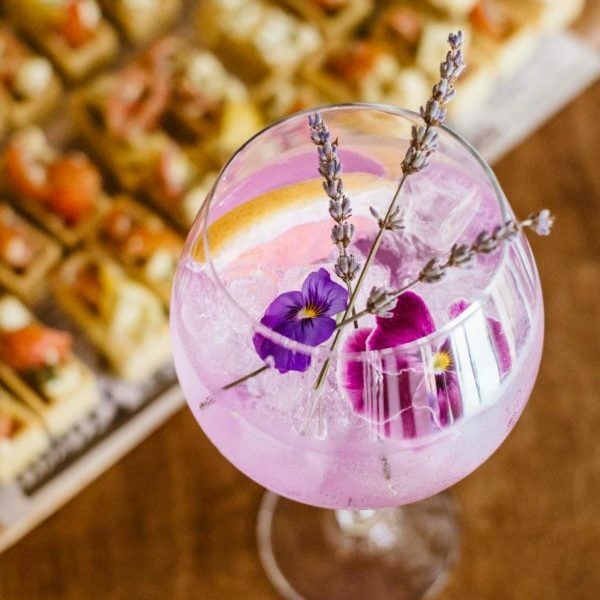 Get ready to embark on a journey of discovery across the flavour spectrum with gins made from the likes of finger lime, black tomato, blueberries & pink pepper! We also have an impressive house cocktail list, over 20 wines by the glass plus a range of craft beers so there’s something for you, no matter your mood. Situated in the sought after Alfred St precinct, Dutch Courage offers a unique and exciting venue for your next occasion. With its dedicated mezzanine level designed for your privacy and including your own, exclusive bar, Dutch Courage offers a function destination like no other. Soak up the DC atmosphere all in the comfort of your private, designated event space. DC can cater to groups of up to 60 on the mezzanine level or 130 in the whole venue. Canape & cocktail or sit-down arrangements are available. Conditions may apply depending on date and time of your event. Let us tailor a DC experience for you. Talk to us! Park for $6 flat rate after 4pm midweek and all day weekend at Valley Metro when dining at Dutch Courage! The car park entrance is directly opposite us. Go to www.secureparking.com.au, click on Valley Metro, weekend/evening parking then in the offer code section, type “DUTCHCOURAGE” for this special offer. Fortitude Valley train station is only two minutes walk away, through the Valley Metro car park on Alfred St. A late-night service departing at approx. 3.45am operates on weekends. Check Translink for the latest timetables. The nearest major bus stops are located in the precinct bordered by Wickham, Warner, Ann and Ballow St which is located five minutes walk from Dutch Courage. Late night services operate on weekends. Check Translink for the latest timetables. We’re less than 5 minutes walk from the main Valley thoroughfares of Brunswick, Ann & Wickham St. Just head down the Brunswick mall, cross Wickham St, pass the entrance to the train station on your right, and take the next right which is Alfred St. About 100m in, we’re on your left with the big wall of booze. You can’t miss us!